As was foretold many moons ago, television content from the ABC family of networks has begun to make its way to video-streaming site Hulu. In a blog post on the company’s site, Hulu’s Rebecca Harper announced on Monday that hit series Grey’s Anatomy would be the first ABC show to appear on the site, with five complete episodes. The episodes are all from the most recent season, but the selection is spotty: it includes the two-part season opener, two episodes from the middle of the season, and two episodes from towards the end of the season—so don't expect to just dive right in. More shows from the network should soonfollow, as Hulu is adding new content each weekday during the summer. ABC's parent company, Disney, and Hulu struck a deal in April after months of speculation, adding a third major player to Hulu owners Fox and NBC. 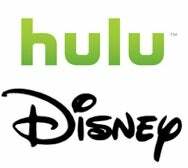 In exchange for its content, Disney gets a 30 percent stake in Hulu, putting them on roughly even footing with the other two networks. The remaining broadcast networks, CBS and the CW (itself half-owned by the CBS), are still pursuing their own video streaming agendas, with CBS streaming episodes of its shows on Hulu competitor TV.com. Still, it’s another move towards one streaming site to rule them all and the free availability of ad-supported time-shifted content for all of our favorite shows, past and present, and that's something I can tune into.